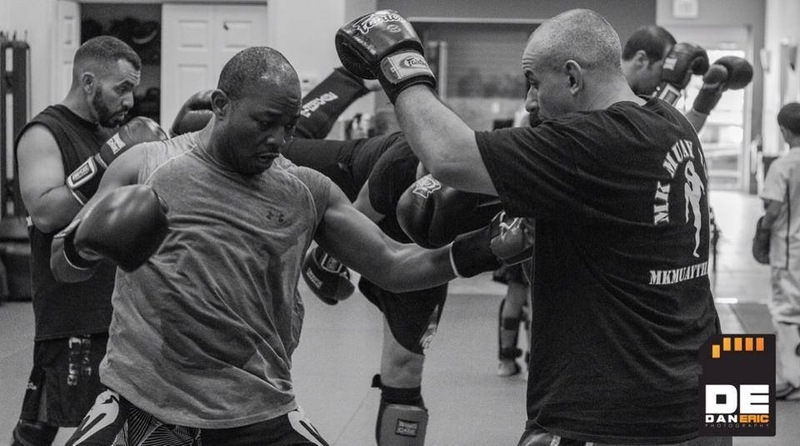 Head instructor Augie Matias with over 30 years martial art experience teaches the traditional art of Muay Thai. Coach Augie has fought in the ring, has trained fighters and cornered over 100 times for amateur and professional fighters. It would be hard to find another workout that provides training like ours. One hour burns about 800 calories. We are all family with one goal. To get in the best shape of their lives. Increase cardio conditioning, increase strength , increase flexibility, replace fat with muscle. Gain Confidence with a Legitmate Martial Art that has been proven to work in the ring and the UFC. Safety is our highest priority, training is done with a controlled environment. Coach Augie is a Registered Nurse with Intensive care experience for Adults and Pediatrics. If you're ready to get your FREE TRIAL of Muay Thai kickboxing, sign up in the box below and we will get you all setup! Want to start training right now?